Hillary Reeves works full-time as the Marketing Manager at Chicory, a web app that turns recipes into reality. Her food blog, Hill Reeves, has also led to a freelance recipe development and food writing career– you can see her work at Food52, Food Network Magazine and Good Housekeeping, among others. In the past, Hillary spent time working in live theater, general managing and marketing major performances like appearances at Carnegie Hall, the Macy’s Thanksgiving Day Parade, The National High School Musical Theater Awards, the 2008 Broadway production of A Tale of Two Cities, Met Opera HD and the New Victory Theater’s 2014 and 2015 seasons. Find her on Twitter at @hillreeves or visit her blog at HillReeves.com. Hillary will co-host the tech session Questions the FoodTech Industry is Asking and How Bloggers Can Answer on Saturday, July 30 at IFBC. Shireen Yates is co-founder and chief executive officer of Nima. 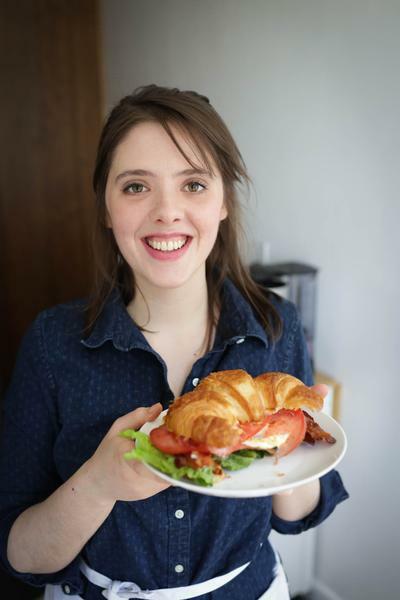 She has been leading a gluten-free diet for the past eight years due to multiple food allergies. After pursuing an MBA from MIT Sloan, she decided to pursue her passion for helping people lead healthier lifestyles by starting Nima. Founded in 2013, Nima is creating greater food transparency that enables consumers to make better health decisions. Its first product is a discreet and portable device that allows consumers to test their meals for gluten in approximately two minutes. The company’s goal is to alleviate the stress around unknown food ingredients, deliver social freedom and make mealtime enjoyable again. Shireen will co-host the tech session Questions the FoodTech Industry is Asking and How Bloggers Can Answer on Saturday, July 30 at IFBC. 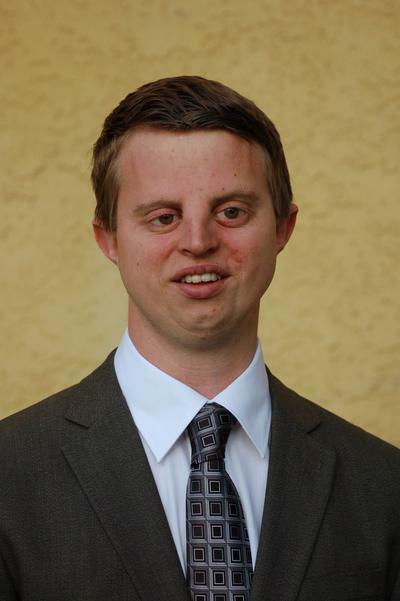 Henry “Hoby” Wedler is a blind fifth-year Ph.D. candidate at the University of California, Davis, founder and director of the nonprofit Accessible Science, and host of truly blind wine, beer and food tasting experiences. Hoby grew up in Petaluma, California where early on he fell in love with beautiful Sonoma County. When he’s not busy working towards his Ph.D. in organic chemistry or leading his blind or visually impaired chemistry camp students in conducting lab experiments through touch and smell, he turns his attention to food and drink – where he’s most passionate about flavor, accurate flavor descriptors, and how flavor and aroma relate to science. In May of 2012, Hoby was one of only fourteen individuals honored at the White House as part of President Obama’s Champions of Change program, for leading the fields of science, technology, engineering, and math (STEM) for people with disabilities. The Champions of Change program was created as a part of President Obama’s Winning the Future initiative that recognizes outstanding individuals for the work they are doing to serve and strengthen their communities. Blind since birth, Hoby was inspired by programs offered by blind role models in high school and with encouragement from professors, colleagues and others, he gained the confidence to challenge and refute the mistaken belief that STEM fields are too visual and, therefore, impractical for blind people. Hoby founded and teaches at an annual chemistry camp held on the summit of Mount Veeder for blind or visually impaired high school students. Accessible Science just held its sixth annual chemistry camp where they hosted students from as far away as Maryland. Chemistry Camp demonstrates to the students, by example and through practice, that their lack of eyesight should not hold them back from pursuing their dreams. Hoby has hosted his Tasting in the Dark, a completely blinded wine tasting experience at the Francis Ford Coppola Winery and other Napa-Sonoma wineries for over five years. Hoby has also brought this experience to consumers and key markets throughout the nation as a sales consultant to Francis Ford Coppola’s sales team. The surprising and enlightening wine tasting, where guests are blindfolded and led to the location of the tasting, explores how flavors and aromas in wine are accentuated when experienced in complete darkness. Hoby believes that when a sighted person is in complete darkness, he or she feels more vulnerable and his or her senses become more heightened because vision is not a distraction, bringing out more flavors in a food or beverage. Over the past three years, Hoby has worked as a consultant wine educator and sensory specialist. In 2013, Hoby partnered with Sierra Nevada Brewing Company to host beer tasting in the dark, “Sightless Sipping” for their national sales team. This event, similar to blind wine tasting, allows guests to enjoy beer at an entirely new level. Since 2013, Hoby has hosted many blind beer experiences at Sierra Nevada Brewery in Chico, at the Robert and Margaret Mondavi Institute for Food and Wine at the University of California Davis, as a special seminar at the Culinary Institute of America, and at tap rooms nation-wide. Hoby also leads wine, beer, and food tastings as corporate team building and motivational exercises. Finally, Hoby’s work in the food and drink industry was generously recognized by Forbes Magazine when he was recognized as a member of the Forbes 30 under 30 list for food and drink in 2016. This prestigious honor is granted to 300 individuals from around the world all under 30 years of age across ten categories, making a total of 30 individuals per category. Hoby will complete his doctoral studies in September, 2016 at which point he plans to work full-time in the food and drink industry. Hoby will co-host the Blind Tasting session with the UC Davis Olive Center on Saturday, July 30 at IFBC. Mary Kimball started with Land-Based Learning in 1998, and has led its growth since that time; in 1998, there was one program and 30 high school students. Today, Land-Based Learning runs five different model programs in 25 California counties, including the California Farm Academy, the only beginning farmer training and incubator program of its kind in Northern California, and which includes the West Sacramento Urban Farm Program and The Cannery Farm in Davis. Raised on a small farm in Yolo County, Mary is very active in local, regional and statewide groups, including serving as Board member of the Yolo County Flood Control and Water Conservation District, a member of the California Community Colleges Agriculture & Natural Resources Statewide Advisory Committee, and the Agriculture, Water, and Environmental Technology Industry Representative to the California Community Colleges “Doing What Matters for Jobs and the Economy” statewide committee. 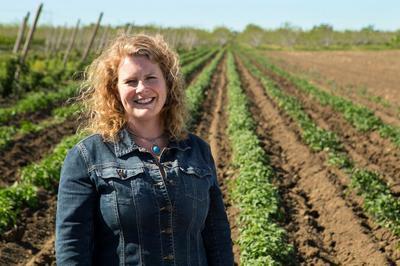 She is a member of the American’s Farm-to-Fork Capitol’s Steering Committee, and the Golden 1 Arena’s Food Sourcing Advisory Committee. Mary also serves on the Wells Fargo Community Advisory Board, and as a co-lead for the Workforce Development Committee of the Central Valley Ag Plus Food and Beverage Manufacturing Consortium. Additionally, Mary served on the Yolo County Planning Commission from 2006-2014 (including two terms as chair), as a member of the Board of the Yolo Land Trust from 2004-2014, including three years as President, and is a founding member of the Yolo Food and Ag Alliance, which began in 2003. Mary holds a Master’s Degree in Human and Community Development from the Ohio State University (1996), and a B.S. Degree from the University of California at Davis in Agriculture Science and Management, Plant Science Option (1992). 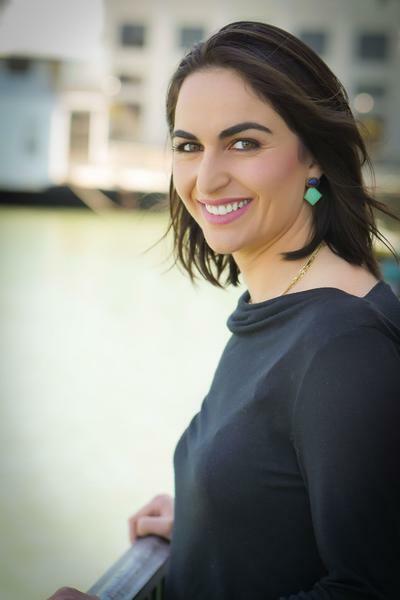 She is an alumnus of the California Agricultural Leadership Program (Class XXXII) and the American Leadership Forum, Mountain Valley Chapter (Class XV). She received the Award of Distinction from UC Davis College of Agriculture and Environmental Sciences in 2003, the Profiles in Leadership Award from the California Agricultural Leadership Foundation in 2014, the Wells Fargo CARES Award in 2015 for her work promoting agriculture and youth education in the Sacramento Region, and the Common Threads North Community Service Award for Women in Agriculture in 2016. Mary will be part of the Farm-to-Fork: Farmer, Rancher, Grocer Chef panel on Friday, July 29 from 4-5pm. We’re super excited for our first Farm-to-Table-themed International Food Blogger Conference later this year, and you must be too as we’ve already sold 50% of our capacity! If you haven’t signed up yet, don’t miss this exciting event (you can register here). We’ve sold out the last four years, so don’t wait to register. We’re still hard at work creating what is sure to be a spectacular line-up of speakers, excursions, tastings and more, so be sure to check back here for updates or tune in to our IFBC Facebook Group(Not a member yet? You can join here).